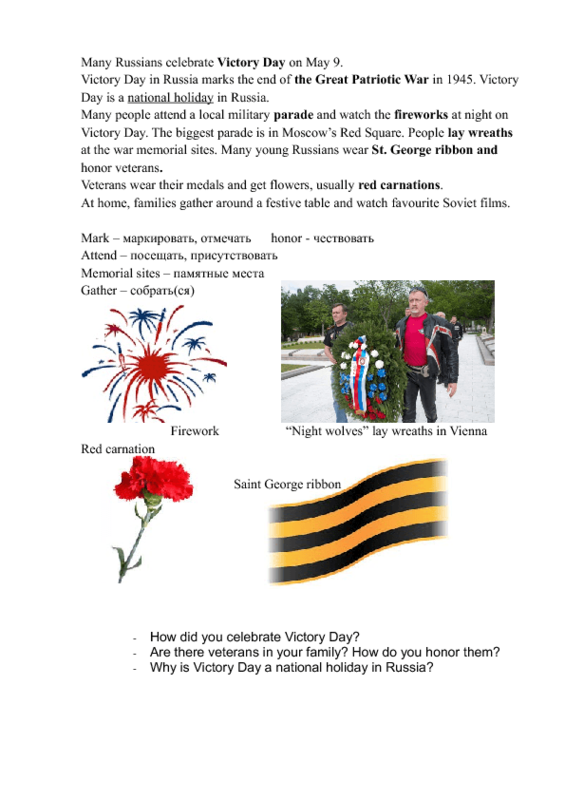 There is a short text about modern traditions of celebrating Victory Day in Russia. Some words are translated and others are explained in pictures. 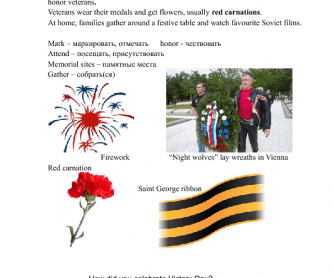 The text wil be easy for people who live in Russia and informative for others. After reading I offer two questions for discussion or writing an essay.